In order to invest in Charles Hoskinson’s new cryptocurrency project Cardano, you need to find a way to buy Ada– Cardano’s official cryptocoin. To do that, you have to first buy Bitcoin and then transfer your Bitcoin to an exchange that supports Bitcoin-to-Ada trades. One smart way to make the initial debit card purchase is via Skrill– a universal wallet that accepts debit card deposits. Once you’ve funded your Skrill wallet, you can then find good Bitcoin deals by going through a peer-to-peer exchange like Paxful of LocalBitcoins. Once you have Bitcoin, the best place to trade Bitcoin for Ada is Binance. Binance is available everywhere, plus it has a good reputation and very low fees. The process described above is not as complicated as it seems. Read on for a walkthrough of everything you need to do to buy Cardano (Ada) with a debit card. Because Cardano improves upon both first-generation cryptocurrency platforms like Bitcoin and second-generation ones like Ethereum, it is considered to be a third-generation cryptocurrency project. Charles Hoskinson– the mind behind Cardano– co-founded the BitShares financial platform and also played a key role in the development of Ethereum. Though Ethereum allowed for easier development of smart contracts, it had several technical issues that were addressed in Cardano. In this YouTube video about Cardano, Hoskinson explains how Cardano offers better scalability, interoperability and sustainability compared to Ethereum. TL;DR If you want to buy Ada with your debit card, the best method is to first buy Bitcoin through a peer-to-peer exchange (LocalBitcoins, Paxful, etc.) and then trade your Bitcoin in for Ada using Binance. The fastest and most convenient way to begin the process of buying Ada is with a peer-to-peer exchange like Paxful or LocalBitcoins. Peer-to-peer exchanges are marketplaces that let anyone in the world sell cryptocurrency to anyone else using either debit cards or a variety of other payment options. You can expect to pay about five to eight percent above the market price after it’s all said and done when you make your purchase this way, but the advantage is that you can get your Ada quickly without having to wait more than an hour or so. Most individual peer-to-peer sellers typically only require a few minutes to verify your ID. If you don’t mind waiting and you want slightly lower fees, the best way to buy Ada with a debit card is to start by making your initial deposit through a centralized cryptocurrency exchange like Bitstamp or CEX. The main disadvantage of centralized exchanges is that they are slow to verify their customers. You often have to wait hours or sometimes days to complete the identity verification process. Another thing to note is that all the exchanges that support debit card buys currently don’t support Ada– so you still have to transfer your Bitcoin after you make your initial buy. The exception to that rule is Changelly, which lets you buy Bitcoin with a debit card and deposit it directly into your Binance wallet. 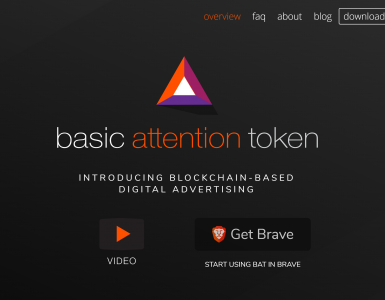 The small amount of money that you will save through a centralized exchange may not matter if you only intend to buy a small amount of Ada. In addition, centralized crypto exchanges are heavily regulated in the US– but peer-to-peer exchanges are available everywhere. Also, peer-to-peer Bitcoin exchanges are faster, easier to use and sometimes even cheaper compared to centralized crypto exchanges. 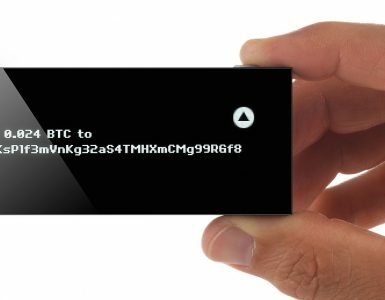 For more information about how to buy Bitcoin using a debit card, read our detailed how-to guide. Peer-to-peer exchanges are similar to online marketplaces like eBay. An escrow system and a ratings feature deters the threat of scams. The most popular peer-to-peer Bitcoin marketplaces are filled with sellers from all over the world. 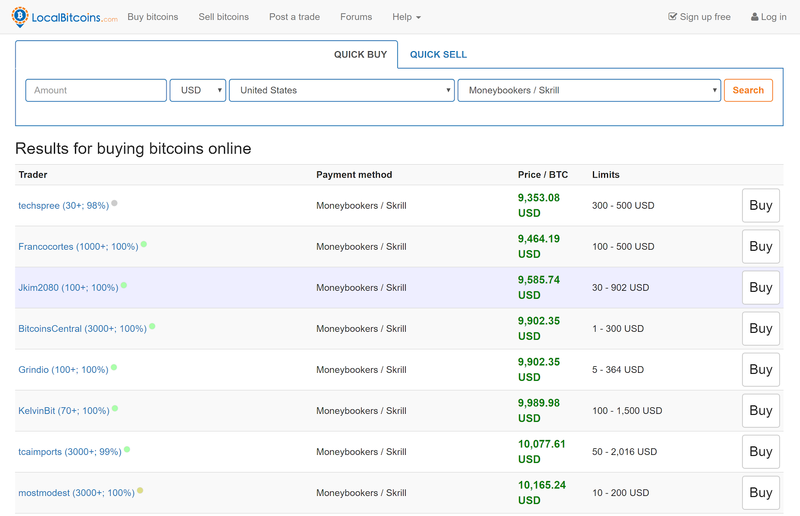 The more sellers there are, the lower Bitcoin prices you will be able to find. Before you use your debit card on a peer-to-peer exchange, you may want to look into universal wallet services like Skrill. These services help eliminate risk on the seller’s end. Less risk means better prices. When chargebacks are taken into consideration, it’s easy to understand why peer-to-peer crypto merchants typically charge more for debit card buys. If a debit card holder makes a Bitcoin purchase, there’s a chance that they’ll try to dispute the charge later to steal their money back from the Bitcoin seller. If they win the dispute, they’ll get their money back– and they’ll get to keep their Bitcoin. Despite the potential risk of chargeback, there are many peer-to-peer Bitcoin sellers that accept Bitcoin-for-credit-card purchases. However, you can usually get a better price for your Bitcoin if you use a wallet service like Skrill to make your initial debit card purchase. Once you use your debit card to funds into your Skrill wallet, you can then look for Bitcoin sellers that accept Skrill payments. Compared to traditional banks, PayPal, and credit card processing services, Skrill is friendlier to merchants. Because peer-to-peer Bitcoin sellers don’t have to accept as much risk when they accept Skrill payments, prices are usually lower. Once you create a free Skrill wallet, you can fund it using a variety of methods. 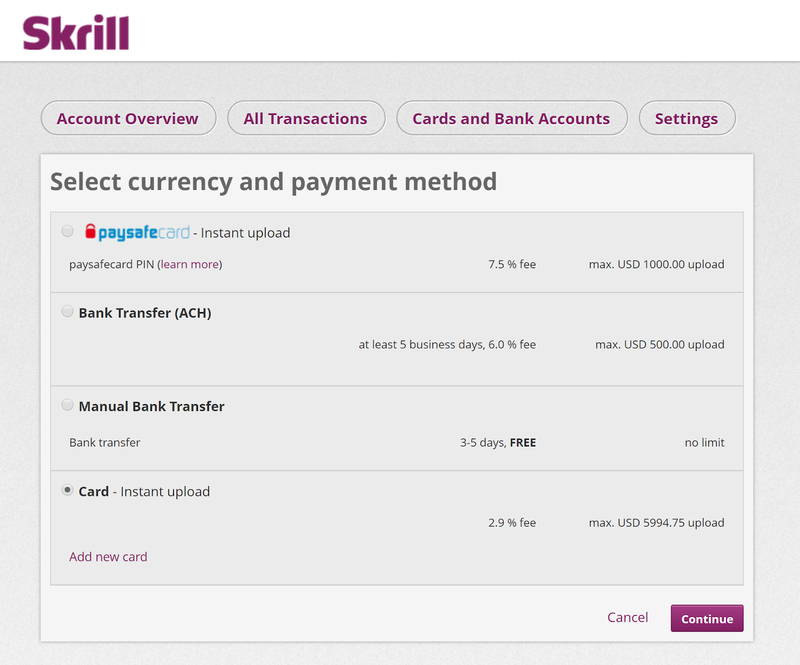 If you have bank account, you can move money into your Skrill wallet for free using the Manual Bank Transfer payment method. Alternatively, you can use your debit card to make an instant payment if you’re willing to pay the 2.9% fee. After you have money in your Skrill wallet, buying Bitcoin is just a matter of finding a peer-to-peer Bitcoin seller that accepts Skrill. Paxful and LocalBitcoins are the two best peer-to-peer exchanges for Bitcoin. Here’s a quick look at what they look like and how they work. Paxful is newer than LocalBitcoins, which is probably why it has a better interface. On the other hand, LocalBitcoins has more users, so you can usually find better prices there. Other than those differences, Paxful and LocalBitcoins are almost identical. It’s worthwhile to check them both before you make a Bitcoin purchase. Like LocalBitcoins, Paxful charges a 1% fee– but you only have to pay it if you use an ad to find a seller. Otherwise, there are no fees for buyers. 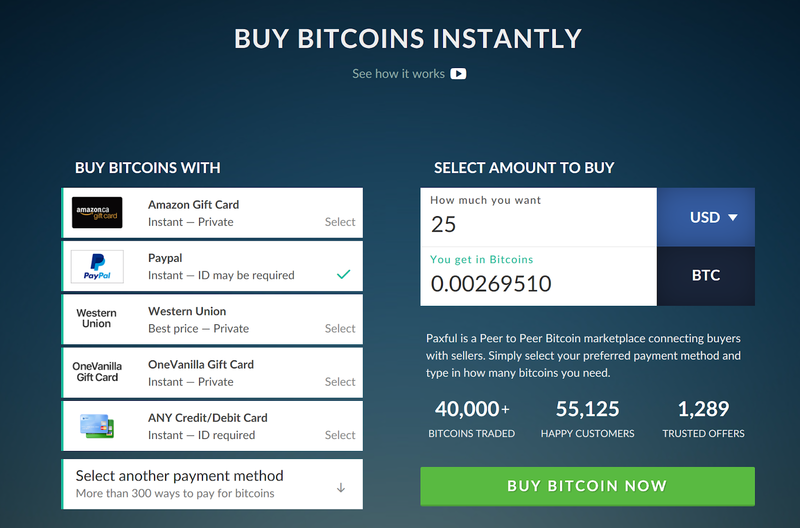 The Paxful website has a Buy Bitcoins Instantly box that you can use to pull up a list of credit-card-for-Bitcoin offers. Click ANY Credit/Debit card on the left side of the page and then type in the amount of money you want to spend. Then, click Buy Bitcoin Now to pull up the search results page. This is what the search results page looks like. As you can see, there currently aren’t any sellers offering direct debit or credit card purchases. 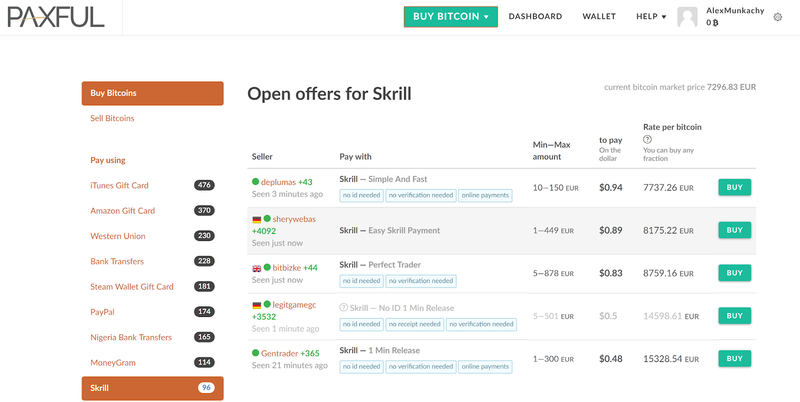 However, if you go back to the main page of Paxful and search for Bitcoin sellers that accept Skrill, you’ll have much better luck finding a willing seller. Statistics about the sellers are displayed under the Seller column. Prices for offers are listed in the Rate per bitcoin column. It’s a good idea to view the sellers’ profile before you buy to see more details about their feedback and view information about how they want the transaction to proceed. For example, this seller has completed over 4000 transaction and has only received 2 negative ratings. Once you finish buying Bitcoin, your funds will land in your Paxful wallet. 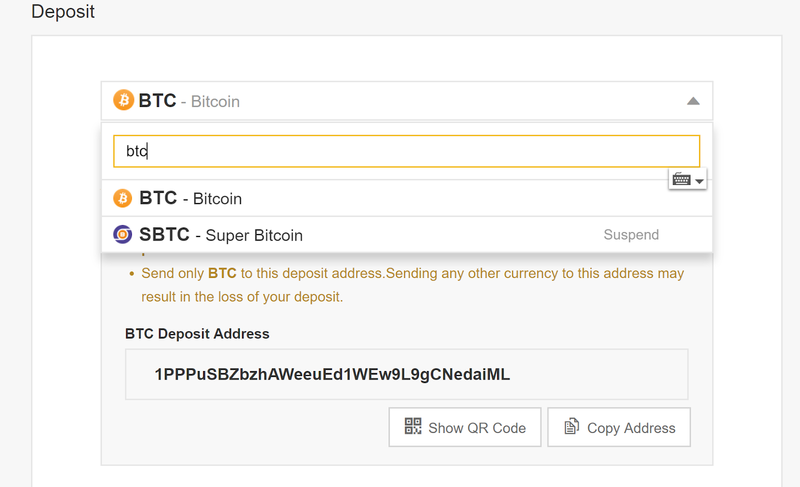 Then, you can transfer your Bitcoins to an exchange that supports Ada. LocalBitcoins is older than Paxful– and it shows. Its interface is easy enough to use, but it is also extremely minimalistic. On the other hand, LocalBitcoins usually has more active sellers compared to Paxful. LocalBitcoins charges the same fees as Paxful. If you create a “Bitcoin wanted” ad to find a seller, you have to pay 1%. Otherwise, Bitcoin buyers don’t have to pay LocalBitcoins at all. The search results page is similar to Paxful’s interface. Sellers appear on the left, alongside information about how many successful sales they’ve completed. Before you buy, you should click an offer to find out more details about the seller. 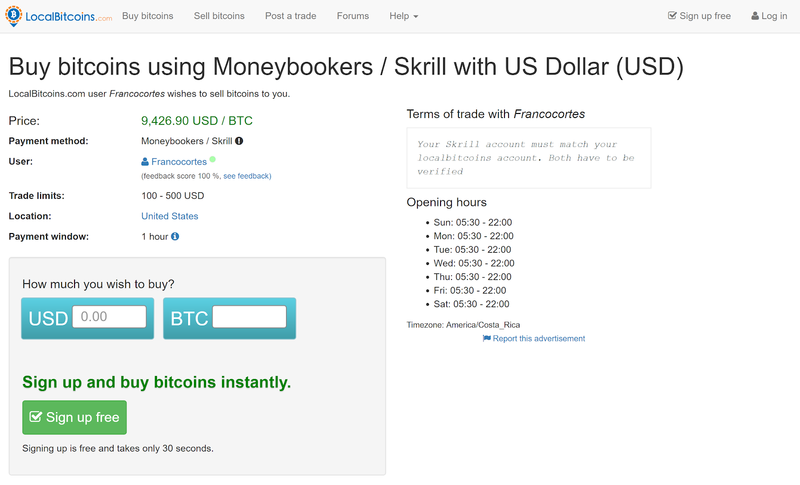 This particular seller only accepts offers from people with verified Skrill/LocalBitcoins accounts. Once you finish buying Bitcoin via LocalBitcoins, your funds will land in your LocalBitcoins wallet. The next step involves transferring your Bitcoins to an exchange that supports Ada. 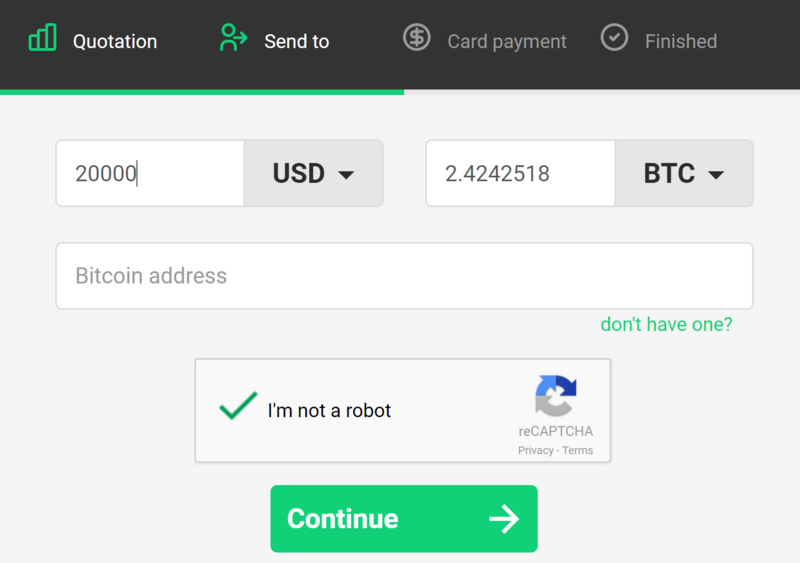 Yet another way to buy Bitcoin with a debit card is Changelly– a so-called “retail” exchange. Though Changelly is a bit pricey, it’s also more convenient than CEX, Bitstamp and other advanced crypto exchanges. With Changelly, you can set up a wallet on an exchange that supports Ada– like Binance or Bittrex, for example– and then use that same wallet to buy Bitcoin using a debit card or credit card. In exchange for that convenience, you’ll have to pay some very high fees and go through a drawn-out ID verification process. That process can take anywhere from a few hours to several days. Another thing you should know before you sign up with Changelly is that it isn’t legal everywhere that it’s accessible. Instead of using geographical blocks to stop residents of certain regions from registering, Changelly passes on the task of sorting out any relevant legal issues to you. Changelly’s Bitcoin purchase limits have recently increased. Now, you can buy up to $10,000 USD worth of Bitcoin in your first transaction. The daily and monthly limits are $20,000 and $50,000. However, Changelly’s high fees make it an unwise option for buying large amounts of Bitcoin. According to Cardano.org, only six exchanges currently list Ada: Binance, BitMEX, Bittrex, UPbit, HitBTC and Huobi. However, only five officially support the Ada coin. BitMEX lets its users trade Ada futures but it does not let them buy the actual coins. Whichever exchange you choose, you may want to avoid UPbit. UPbit is a korean exchange that is currently under investigation. Korean police believe that UPbit may have faked its balance sheets and deceived its investors. Binance has a clean security record, extremely low fees and has received favorable comments from Forbes and other mainstream media publications. Another good thing about this exchange is that it’s available almost everywhere. Binance operates in more than 200 countries and territories. Only citizens of China are not allowed to trade on the exchange. 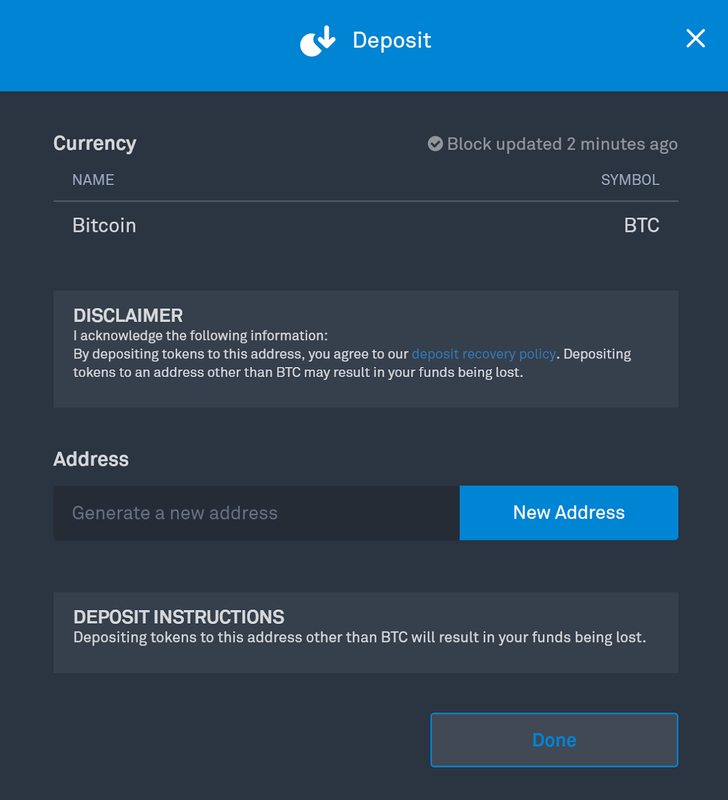 Plus, you can start using Binance to withdraw and deposit small amounts right away. 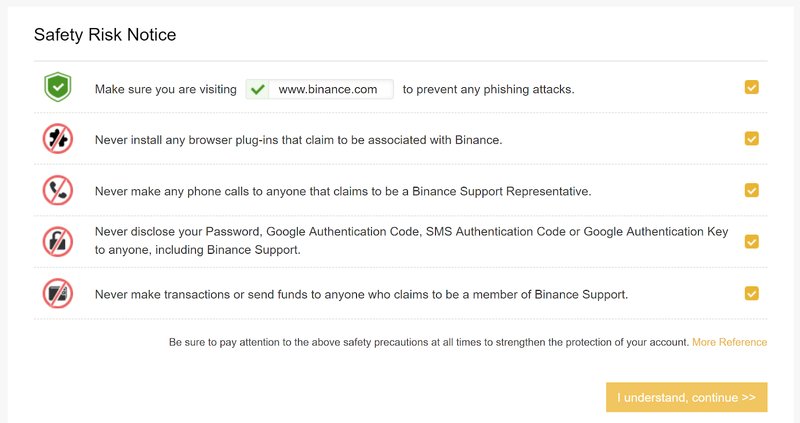 On the other hand, Binance’s interface is somewhat slow and its knowledge base articles are somewhat thin and not very helpful. As mentioned above, BitMEX only supports Ada futures– not the Ada coin itself. With its focus on leveraged trading, BitMEX’s target demographic is advanced cryptocurrency traders. BitMEX is more complicated than most other exchanges. Bittrex has high fees compared to Binance and BitMEX. However, it’s one of the few cryptocurrency exchanges that is available in New York. 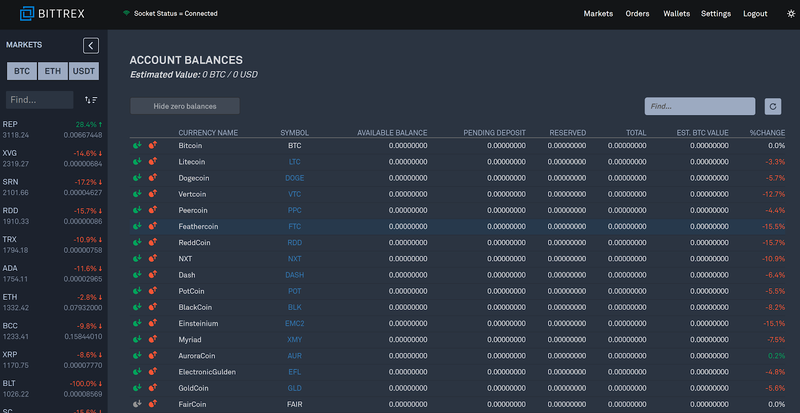 Rather than offering a variable fee schedule that rewards frequent traders, Bittrex charges a flat 25 basis point fee for all trades. If all you want to do is buy a small amount of Ada and hold it, that flat fee probably won’t matter. However, if you intend to become a regular trader, there are better cryptocurrency exchanges out there. 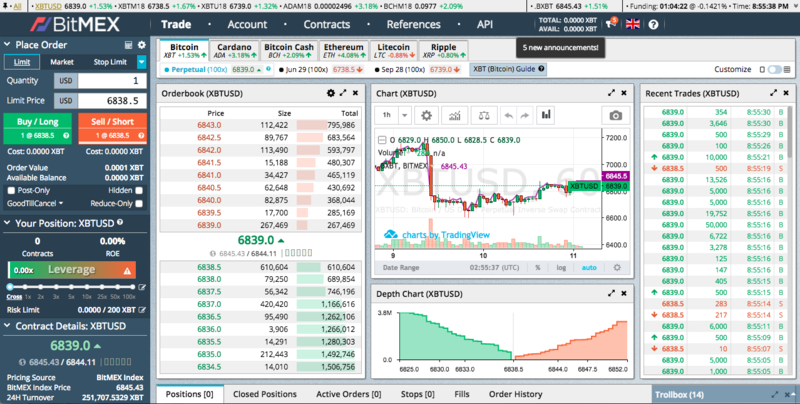 Bittrex recently upgraded its interface. For most people, the best way to make the initial debit card purchase is likely via Skrill– a wallet service that accepts many deposit methods, including debit cards. Once you’ve funded your Skrill wallet, you can then buy Bitcoin by going through a peer-to-peer exchange like Paxful of LocalBitcoins. Once you have Bitcoin, the best place to trade Bitcoin for Ada is Binance, because it’s available everywhere plus it has a good reputation and very low fees. Other exchanges that let you buy Bitcoin with a debit card include Bitstamp, CEX and CoinMama. However, those exchanges have limited US availability and comparatively long processing times for verification. 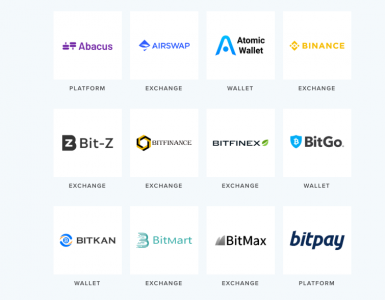 In addition, those exchanges don’t offer Ada– so you have to transfer your Bitcoin to Binance or some other exchange anyway.